So it’s no secret that Natalie Crowe Designs has a number of furbabies – 4 dogs and a cat to name a few. However, when it comes time for our Furkids to have a holiday, there’s only one pet motel in the hunter valley we’d take them… You guessed it.. the one the only – Lochinvar Pet Motel. 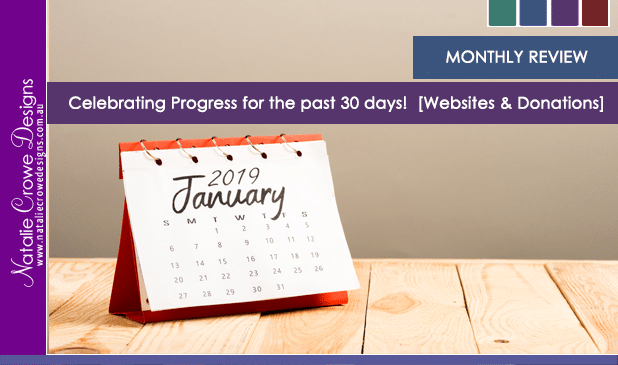 After the Adobe Announcement which we wrote about a few months ago in an earlier post (Learn more about that here) , Natalie Crowe Designs has been working closely with a 30 odd Hunter Valley businesses to convert their websites from the old Adobe Business Catalyst websites to a new and improved WordPress website. 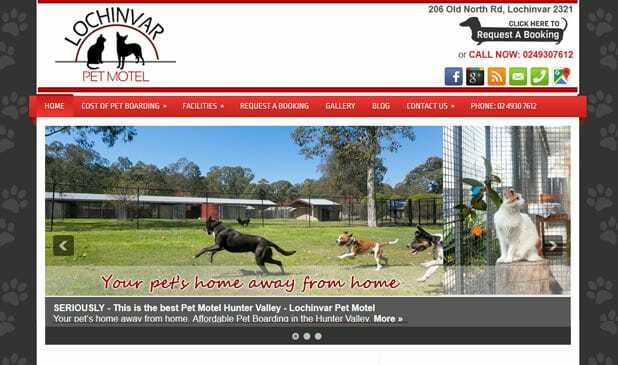 One of those many clients includes our very own Lochinvar Pet Motel. Finding the right place to board your precious pet is easy when you choose the Lochinvar Pet Motel. Located just 52 kilometres northwest of Newcastle. We board dogs of all sizes, cats and kittens, rabbits, guinea pigs and birds. Our kennels are of the highest standard and have been designed to ensure your dog is safe and well cared for. Our large dog kennel block accommodation has private kennels with heated flooring and ceiling fans and roomy individual runs, which your dog has access to all day long, so they can have lots of exercise and fun as they play with their newfound friends. For dogs that need extra space large glass runs are available. All dogs are fed a light breakfast and meal in the evening as they would be at home. Meals are prepared in our Pet Motel kitchen and served on disposable plates for hygiene purposes. Water bowls are cleaned and refilled daily with fresh water. Medication and special foods provided by you can be administered. All our guests receive individual attention and handling during their play times to reassure them they are special and loved. Cats enjoy floor to ceiling spaces and can be housed in single or double Suites if required and are fed high quality food. The staff at the Lochinvar Pet Motel have years of experience in pet care and are dedicated to the welfare of your precious friend.